Welcome to My Wedding Report! My Wedding Report is the official blog of La Promesse wedding consultancy in Belgium, founded in 1981 by Michelle and Pierre. For over 30 years, La Promesse has been helping couples plan their weddings by offering a full range of services. We have experience planning weddings from start to finish so that couples and their families can simply enjoy the wedding day stress-free. Today, La Promesse is still owned by Michelle and Pierre, but they leave most of the business and management to their two children. The idea for La Promesse came when Michelle and Pierre were planning their own wedding. Before starting the business, Michelle studied fashion and Pierre was an architect. Needless to say, both of them had high expectations when it came to planning their wedding, and they couldn’t find a wedding service that pleased their tastes. They took it upon themselves to do everything themselves and had an unforgettable wedding on March 16, 1980. Based on the numerous compliments from friends and family, Michelle and Pierre quickly realized that there was a demand for simple yet trendy weddings. Long story short, they risked their newly-wed lives and started La Promesse. The specialties of La Promesse include pre-wedding consultancy and planning, wedding dress selection, venue selection, catering and food, navigating complexities and customization, wedding day support, photography and other media, and post-wedding support. 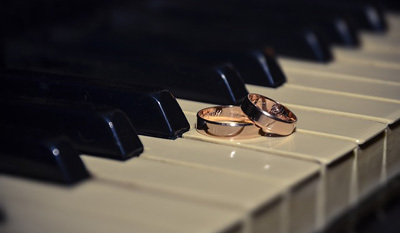 Generally speaking, our vision is to provide the most memorable wedding experience possible for couples, so we are known for going out of our way to accommodate and make unique recommendations. Today, La Promesse continues to provide full-range wedding consultancy and planning in Belgium. Michelle and Pierre decided in 2009 that it was time to hand over the business to their two children who can cater to the tastes of today’s young couples. They decided to start this blog to better connect with today’s internet savvy youth. My Wedding Report is a place where wedding ideas and stories are shared. We think you’ll find some interesting wedding ideas and inspiration on this site. Wedding Gift Responses: Bread Machine! Copyright © 2019 My Wedding Report.